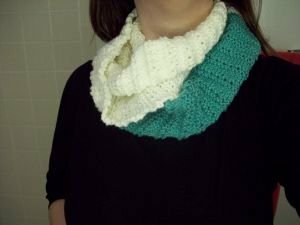 This Two-Tone Cowl is perfect for using up those half skeins of yarn that are taking up space in your craft bin. Match 2 of your favorite colors to create a bold accessory that you can wear all year long. 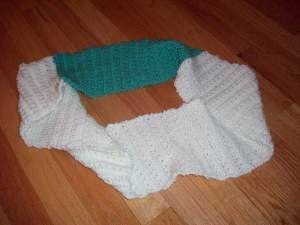 This knit cowl is great for beginners and makes a cute accessory for women of all ages.